Hi guys, this time I wanna share my little story about this airline. During my winter trip, my friend Cherrie and I plan to visit Seoul as I never been to Seoul. There was a lot domestic airline in Korea such as Jeju Air, Air Busan, Tway and so on. 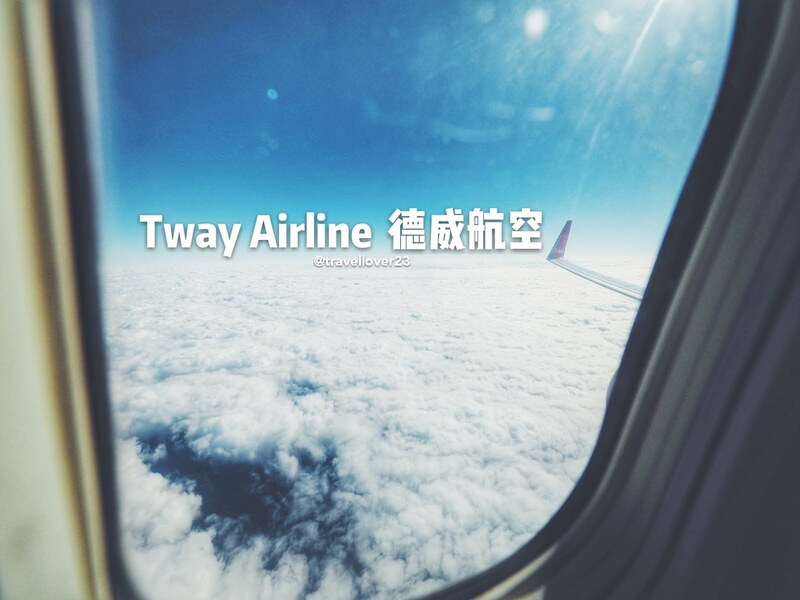 But after comparing the price, we decided to book Tway flight. 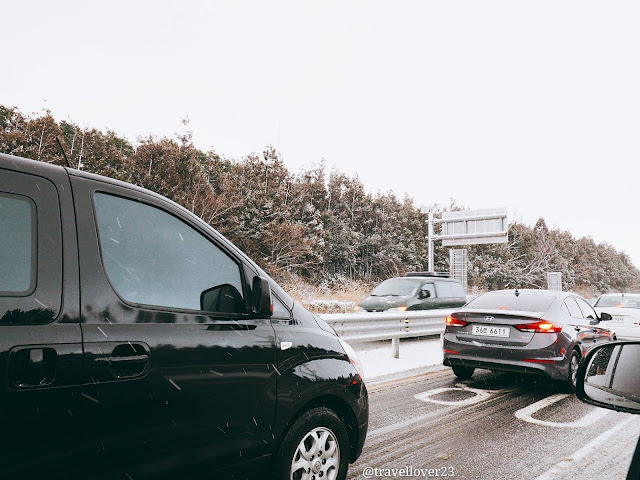 On the third day of Jeju, we had met the biggest snow in Jeju as all the car on the road stranded for a long time. Kinda worried about the next day flight. Unforgettable moments started as Jeju snowing more and more heavily. On the next day, we just went to Jeju airport as usual. We went to the boarding area and breakfast at Lotteria as the Tway staff informed us our flight is delayed due to heavy snow. After a while, my friend went to the toilet and came back with a bad news. >,< THE FLIGHT HAD BEEN CANCELLED. I just looked at my friend's face giggled and stunned for a while. What a fortune day! Immediately, I informed the staff of my private tour agency that our flight was cancelled. And the staff, Summer has helped us settled our accommodation and Ricky came and pick us back to the town. Thank god. Alright! When this kind of incident happens, please be calm. At this moment, you need to do 2 things. First, get your luggage back. Second, claim back another flight ticket as earlier as you can at the Tway sales counter. Suggest you separate the task with your friend. One getting the luggage and the other go and claim back the tickets at the departure hall. WHY i say so, because on that day at least 3000 people were stranded in the airport. When i'm in front of the counter, the staff can't speak English very well. She just mentioned today all flight cancelled. And the latest flight is next day 5.00pm. I was like WTFish. So damn late. 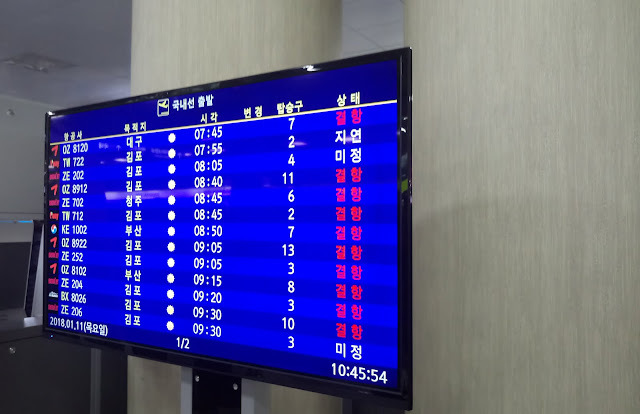 Is it because i'm not fluent speak in Korean, they can't get the earliest flight for me. *Still thinking" So fine. I had to face the reality. After a few minutes, Ricky came to pick us back to town for lunch. At the end, we fly to Seoul on the next day noon after Cherrie asking the counter staff again. The service and air stewardess was so nice. We get our seat at first row. 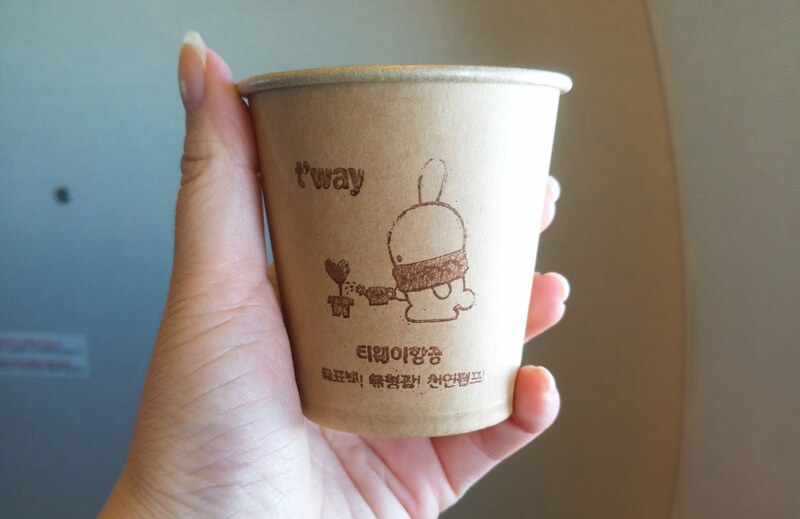 During the flight, we were given a small cup of water for a refresh. "Hello, press 2 for English .."
Tway Staff: 안녕하세요 , Tway airline imida. Tway Staff: Sorry, don't know English. Tway Staff: 안녕하세요, Tway airline imida.